The Cost of SEO | SPARKS! … or what it takes to bring in a bigger catch. By now we’ve all come to learn that in terms of your business’s website, it’s not simply a matter of ”If you build it, they will come.” It’s kind of like fishing. Just because your bait is in the water, it doesn’t mean you’re going to catch anything. And all this is how you’ve come to learn that SEO is so important. You know it’s essential. You want to do it. But you haven’t pulled the trigger because you’re left with one nagging question, “What is it going to cost me?” Well, that depends on a couple of factors. 1. Is this a one-time project or part of an ongoing marketing effort? Say you own a tanning salon in McHenry, Maryland or the only Greek restaurant in Williamsport, Pennsylvania. 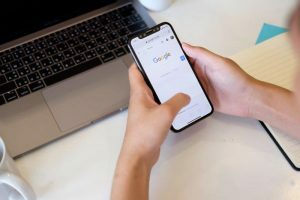 Chances are, some rudimentary changes to your website, along with making sure your Google Maps and Yelp profiles are set up correctly, will do the trick. But, if you’re going a larger company, faced with lots of competition and going for a regional or national audience … well that’s a much bigger fish to fry. Let’s say you sell used cars in the greater-Baltimore market. You can bet the manufacturers, large dealerships and online car buying and review sites have an established presence at the top of the search pages. Achieving top results could take a larger investment of time and money. On the other hand, selling a unique product in a small market – say Hunt Valley – is more achievable from more targeted search options with less competition. Realize these examples are not set in stone, but if your business fits within the parameters described, this should give you a general sense of what you can expect to pay. This approach is best for sites with a just a few product or service offering in markets with limited national competition (meaning, big digital spenders). $500 per month will work in a town of 5,000, but, in a town of 50,000, you’re going to need to spend more. If your business is extremely focused without much competition, $1,500 may cover a decent regional effort. If you’re offering a niche product or service, costs can be less. If you’re in an arena with more players, expect to pay more. If you want an ever-evolving plan with a constant development of new content, it will cost you. But it will generate the traffic you crave. Prices will vary based on the number of pages of your website and the amount of content. Services can include keyword and meta-tag optimization, updated sitemaps and submissions to major search engines. This is a short-term approach and results can vary depending upon your web traffic, local and industry competition, geography and other factors. First off, realize that this takes time. This involves on-going SEO monitoring of search phrases and competitors, and addressing poor performing keywords with optimization and content development. In choosing a partner to help enhance your website’s SEO performance, once you’ve clearly identified your needs, you’ll be able to make a more informed choice. As with all cases when bringing someone in to assist with your business, you want to make certain you trust them and are comfortable working with them. Once you’ve established the right relationship, you’ll be on your way to bringing in a bigger catch.